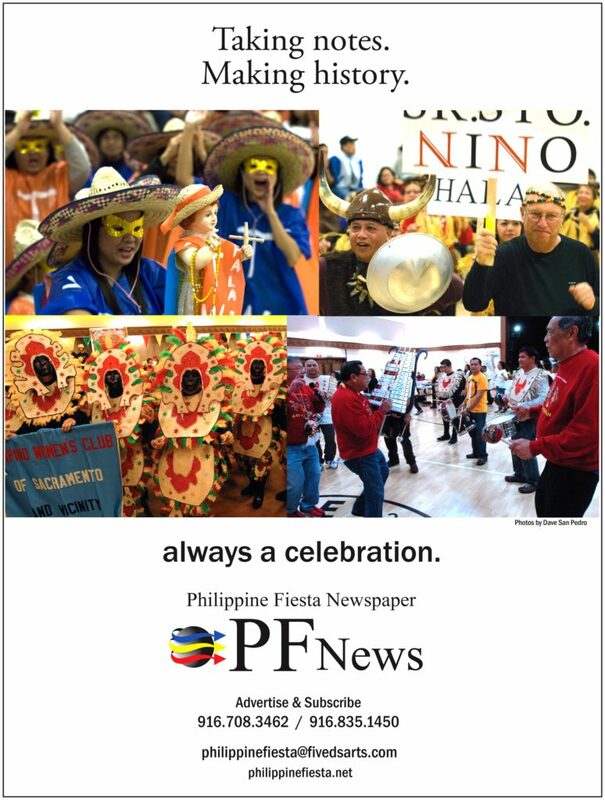 The annual Filipino Fiesta is held every first Sunday of June to celebrate the Philippine Independence Day. It is the biggest event where more than 10,000 Filipinos and other ethnic groups attend. The Fiesta event has been celebrated in Sacramento for more than 36 years. 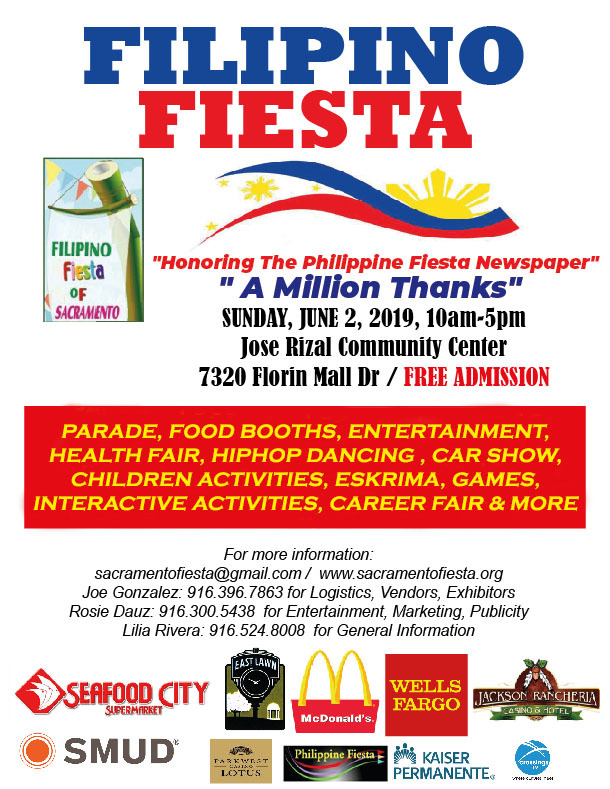 It was organized by different community organizations and individuals until these organizations and individuals decided to form an umbrella organization called the Filipino Fiesta of Sacramento (FFS) to plan, organize, and carry out the goals and purposes of this event every year. The highlights of the fiesta are: Beauty Pageant held the day before the actual Fiesta celebration where the winners are showcased at the Fiesta parade; parade of different organizations groups with their own individual theme; entertainment; Eskrima/Arnis/Kali Tournament; traditional Filipino food such as lumpia, halo-halo, pancit, adobo, etc.. There are corporate sponsors. non-profit organizations, career and health fairs, games, interactive activities, and vendors. To hold the Filipino Fiesta every first Sunday in June in celebration of the Philippine Independence day. To foster teamwork, cooperation and friendship among the various associations organizing this cultural event. To provide opportunity for our youth to develop and showcase their talents. To bring all generations to learn and enjoy our culture and traditions. To promote good relations and understanding among the diverse cultural groups in Sacramento. In addition to the eight member organizations, FFS is assisted by regular volunteers and big supporters from the youth clubs and organizations such as the California State University Of Sacramento Samahang Filipino and Key Clubs from Monterey Trail and Florin High School. Also, providing time and effort to assist in the interactive activities for teenagers and young adults, and in addition to their yearly performance at the fiesta, is “The Project.”, a hip-hop dance company based in Folsom, California. FFS welcomes everyone to join in the celebration every first Sunday of June each year. FFS is always in need of volunteers, performers, vendors, sponsors, spectators, etc. You may sign up at any time with any of the seven organizations or contact us on the phone numbers listed on the “Contact Us “ tab. Thank you.